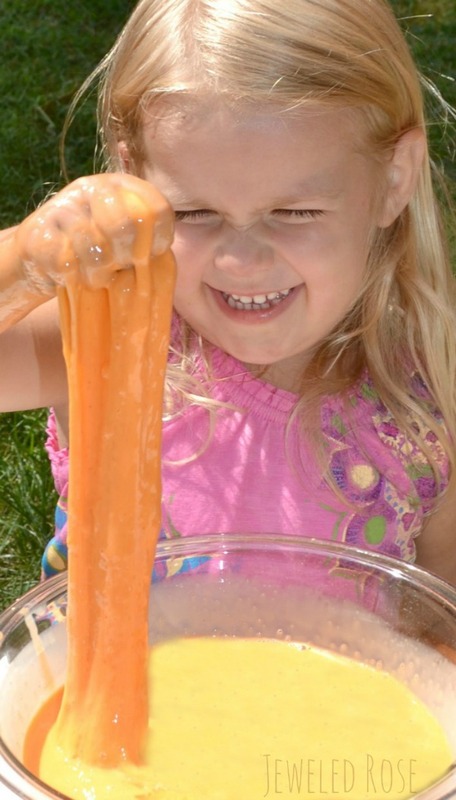 Slime is one of our favorite play materials. 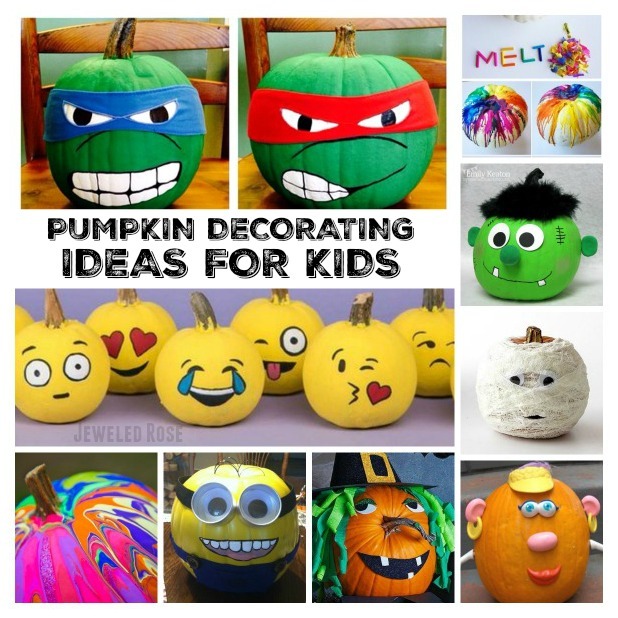 It is easy to make and SO FUN! 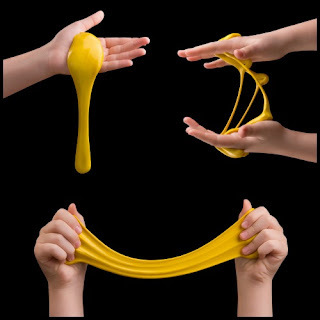 Whenever we whip up a new batch of slime or silly putty Rosie and Jewel play and play, and there is always lots of laughing along the way. 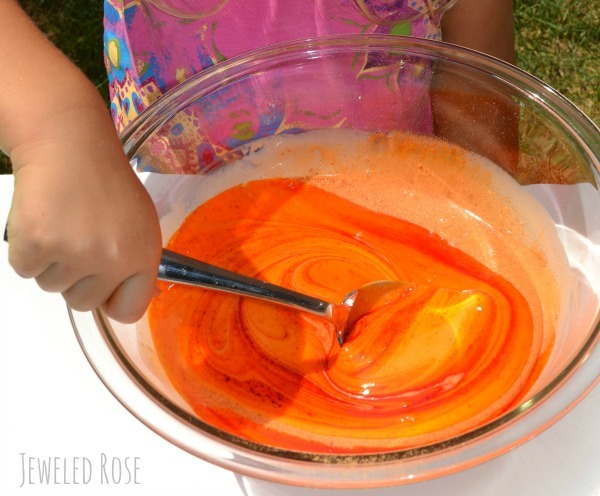 Today, we created a new slime recipe perfect for Fall. 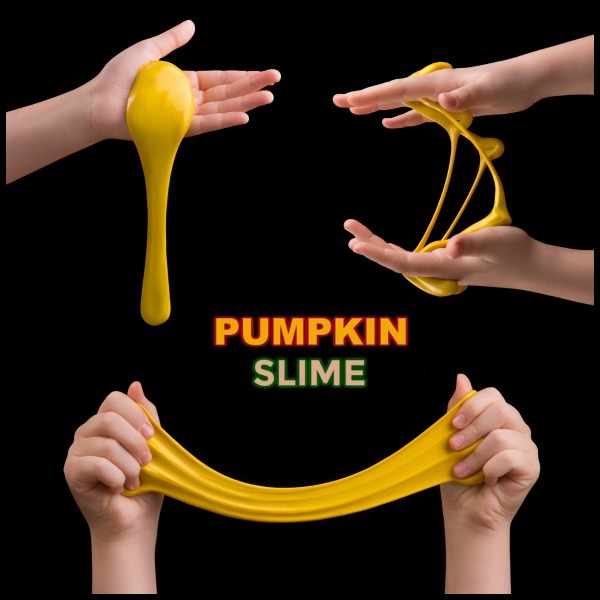 This slime is oOey and goOey, and it smells just like pumpkin pie. 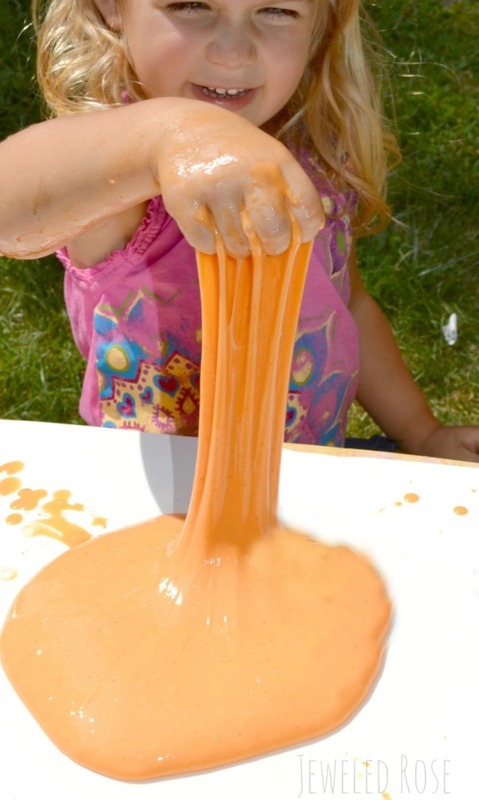 Rosie and Jewel loved squishing and creating with this amazing play material. Are you ready to make your own? Mix the contents of both bowls well, and then combine both bowls. 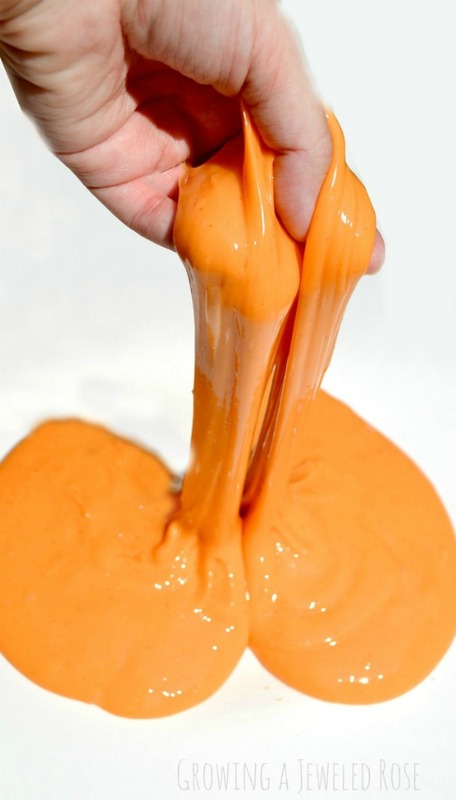 As the ingredients of both bowls are mixed the slime will begin to form. 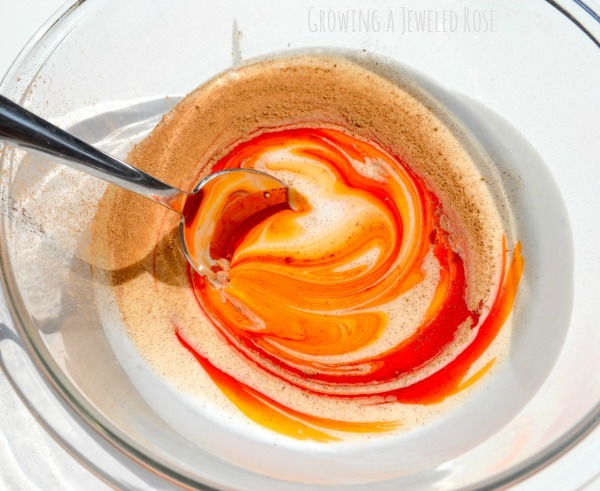 Once all the ingredients are well enough mixed you will want to remove the slime substance from the bowl and finish working it by hand. This whole process is really fun for the kids. Continue to work the ingredients with your hands. You will have residual watery ingredients left in the bowl. This is normal and can be thrown away. 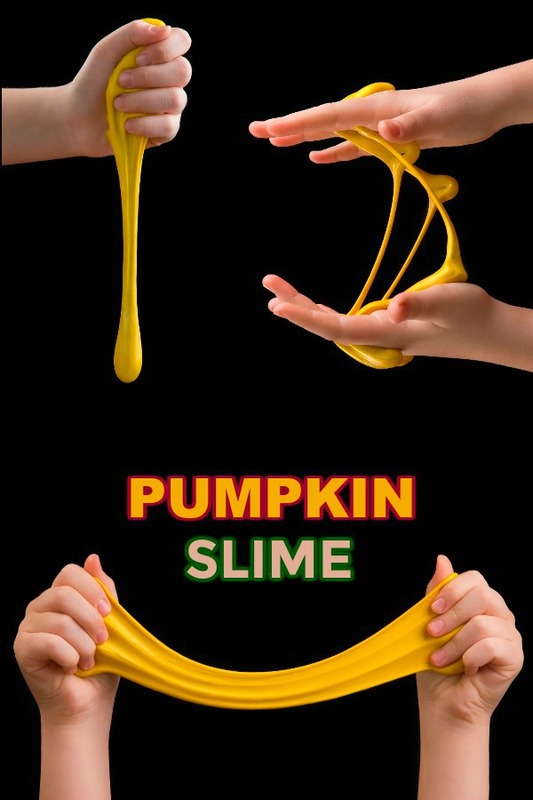 After a bit of kneading you will be left with delightfully scented, pumpkin slime! 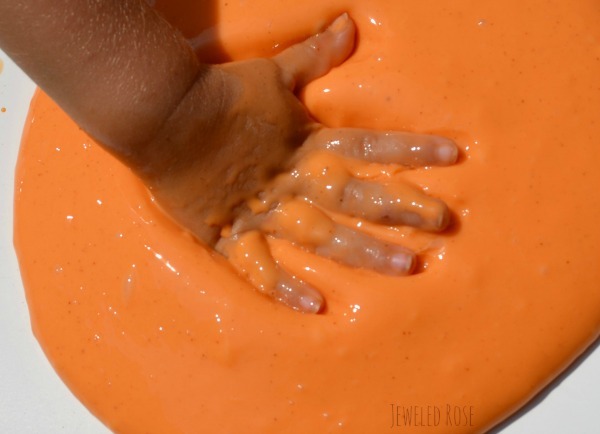 This pumpkin putty is so FUN and smells just like pumpkin pie! 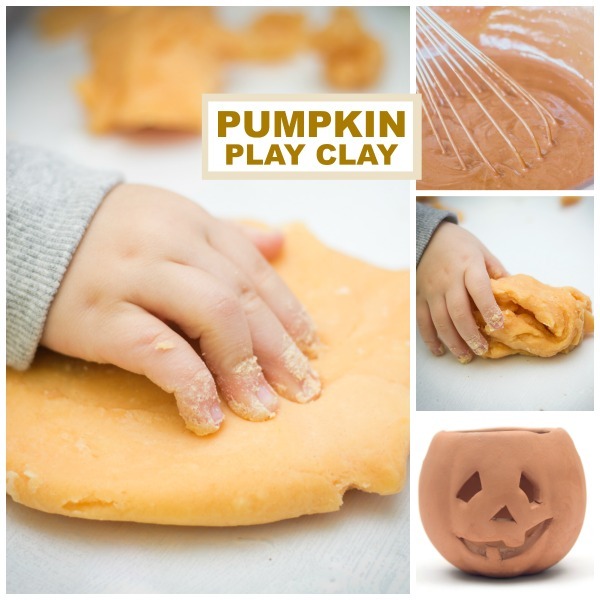 Kids can stretch it and pull it and use it in all sorts of fun ways! 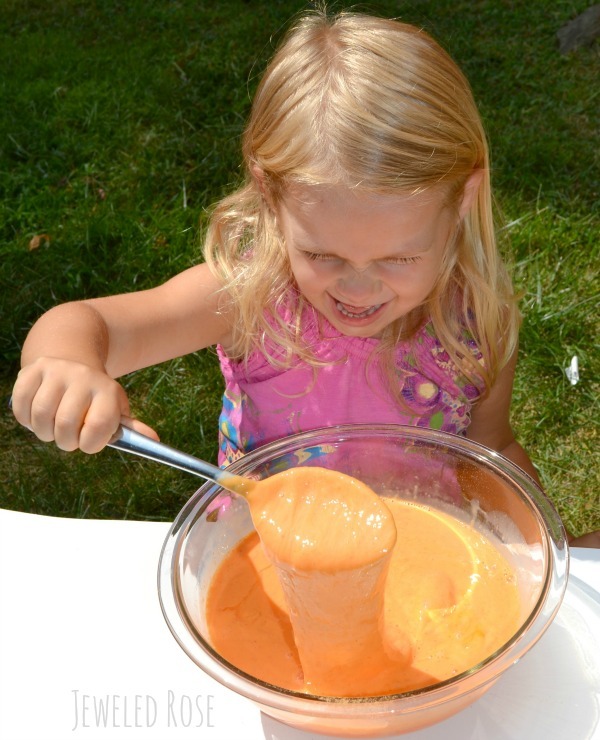 My girls loved making oozing jack-o-lantern faces in the slime using craft foam. 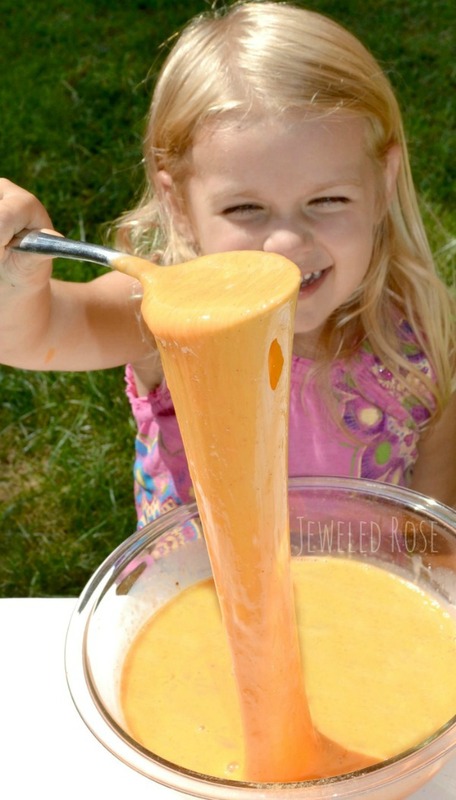 Pumpkin slime is a blast for kids and is sure to produce lots of giggles! 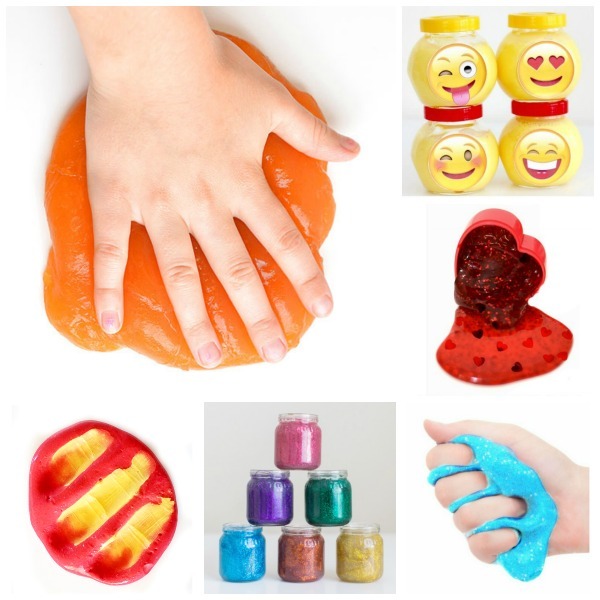 Tips & Storage: Store your slime in a zip-seal bag or air-tight container between play times, and it will stay good for several months. 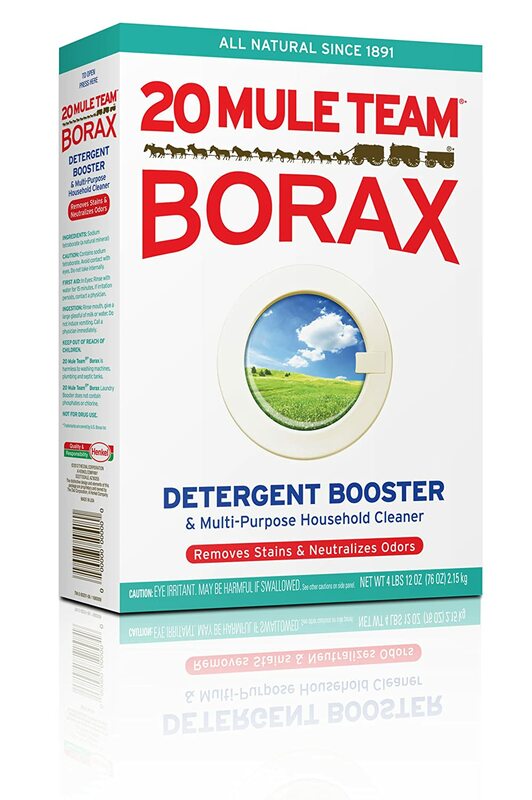 Borax can be found in the laundry aisle of most stores or online here. 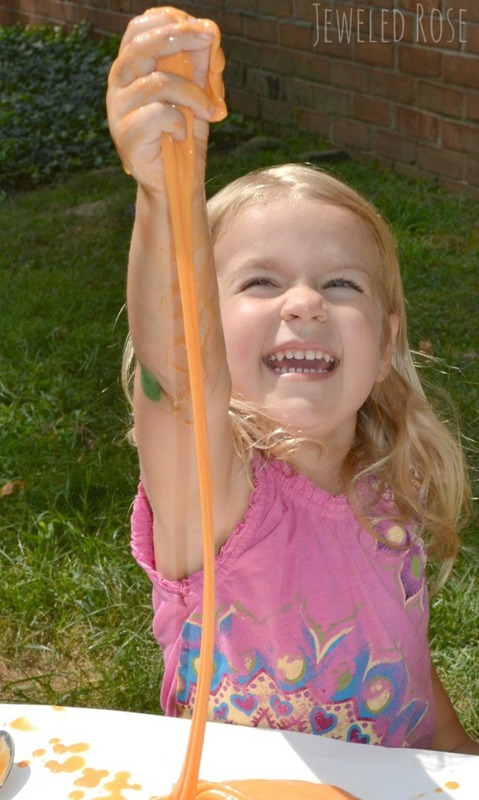 If you are concerned about the slime staining hands I recommend using watercolors over food coloring ,but both will work great for coloring the slime.